"Thanks to the Rubberbandits for the advice..."
Listen, if you can't laugh and make fun of yourself, then you've probably no real sense of humour to begin with. Thankfully, that clearly isn't something that can be said about our Taoiseach, who has absolutely no problem making a bit of fun of himself with his latest weekly video. Varadkar has been posting weekly videos every week for the last year, and this week sees the one year anniversary since that very first video, the one that had the really poor sound quality. 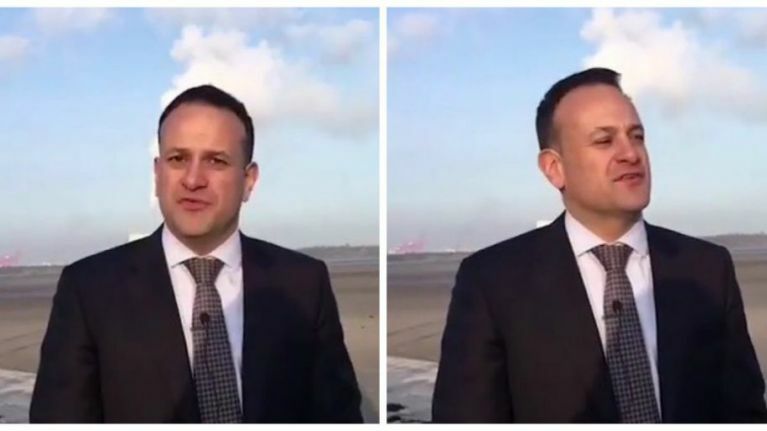 However, thanks to a duo of Irish comedy stars who know a little thing or two about recording sound, that problem was soon fixed, but Varadkar would go on to spend the rest of the year struggling with a number of difficultly phrased sentences for his videos. So whether he's "washing" the people of China, and saying "may the fork be with you", someone kept all of that footage, and Leo himself shared it this week.